Lose yourself to the magic of "The Charm Bracelet." On her birthday each year, Lolly s mother gave her a charm, along with the advice that there is nothing more important than keeping family memories alive, and so Lolly s charm bracelet would be a constant reminder of that love. But when Arden, Lolly s daughter, receives an unexpected phone call about her mother, she and granddaughter Lauren rush home. Over the course of their visit, Lolly reveals the story behind each charm on her bracelet, and one by one the family stories help Lolly, Arden, and Lauren reconnect in a way that brings each woman closer to finding joy, love, and faith. A compelling story of three women and a beautiful reminder of the preciousness of family, "The Charm Bracelet" is a keepsake you ll cherish long after the final page." "[An] idyllic setting, and likable characters make Shipman's debut an enjoyable comfort read for fans of women's fiction centered on mother-daughter relationships." -"Booklist"
"Debut novelist Shipman--a pen name chosen by memoirist Wade Rouse in homage to his grandmother--pulls out all the emotional bells and whistles here; his book reads like a fictionalized guide to living the good life ("Live! Love! Laugh!") and checks all the boxes--family, friends, God, love, and simply living--designed to warm the heart and fill the tear ducts. Smooth writing, unabashed sentimentality." "-Kirkus Reviews"
"Shipman's charming story of finding peace in oneself, listening to your heart, and remembering all those who came before you will be welcomed by fans of Cecelia Ahern and Debbie Macomber." -"Library Journal"
Rich in character and story, "The Charm Bracelet" is utterly charming! "The Charm Bracelet" is as sweet as three scoops of Dolly s ice cream. It s packed with gorgeous scenery, time-honored wisdom, and all kinds of charm. There are family heirlooms that wind up in yard sales, and then there are the priceless ones that are passed down from generation to generation. 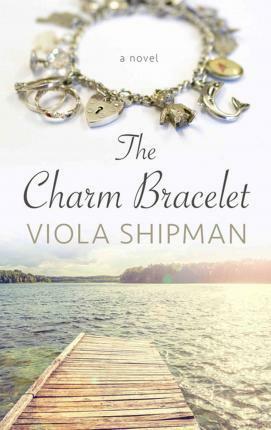 "The Charm Bracelet" by Viola Shipman is a keeper, a novel like a rare jewel that will be passed down one generation to the next and from one book club member to the next until everyone has read this heartfelt, intergenerational story of love and forgiveness. Viva Viola! It made me weep, think, and cry again. It is rare to find a book that makes people cry in a good way. I reread the whole book yet again because I wanted to. That s how amazingly good it is.
. . . characters you care for, a story to enjoy, and the hope for a family understanding that anyone would benefit from. "Senior Life Times"
Readers will be charmed by the characters, most of all by kooky but wise Lolly (a mix of Viola and Madge Rouse, Wade s paternal grandmother), who teaches her stressed-out daughter and granddaughter lessons in life and love. "Good Housekeeping""
VIOLA SHIPMAN is a pen name for Wade Rouse, a popular, award-winning memoirist. Rouse chose his grandmother s name, Viola Shipman, to honor the woman whose charm bracelet and family stories inspired him to write his debut novel, which is a tribute to all of our elders. Rouse lives in Michigan and writes regularly for "People" and" Coastal Living, " among other places, and is a contributor to "All Things Considered." To date, "The Charm Bracelet" has been translated into nine languages. He is at work on his second heirloom novel, which will be published in 2017."